You should be focusing on job boards that are relevant to your target group. If you publish your job advertisement on a lot of job boards, but they are irrelevant to your target group, you won’t receive any relevant applications. Instead, it is important to take the time to research and find the job boards that your target group of candidate uses the most. Then, test out these boards and see how your results compare. Using the correct keywords is critical for multi-channel posting success. The job title used in your advertisement should correlate with keywords used by your target group. This is easily done in a multi-channel posting tool, where you can research the search volume of certain job titles and their relevance in certain job boards. The black box method is when your job ad is posted to a large number of job boards, but you don’t receive any data on which sites it was posted. While it is tempting to easily send out your post to multiple sites, the lack of control leads to very mediocre results. You won’t be able to analyze the success of different channels and can’t continually improve your strategy with each posting. SEO may seem unrelated to multi-channel posting, but they actually are closely intertwined. The issue that can arise with multi-channel posting is an excess of irrelevant information. If your job ads are being posted on tons of non-related job boards, this duplicate content could negatively affect your search engine rankings. It’s always a good idea to have an eye on your SEO while running multi-channel posting campaigns. The only way to improve your multi-channel posting success is by evaluating your campaigns. Analytics can help you to understand which channels are bringing you the highest quality applicants for the lowest cost. 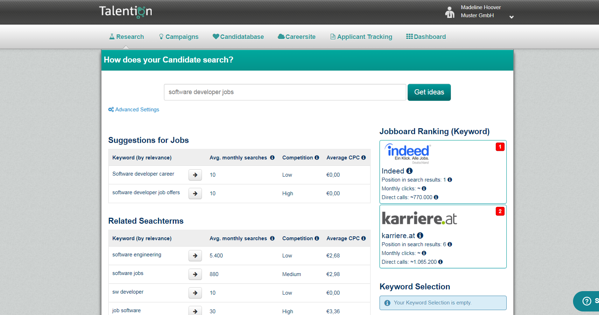 And it can also reveal which job boards are not working and could potentially be removed. You can only reach the right candidates if you are targeting the right market. It is essential to take the time to determine the correct market for each of your job openings. This can be done through research and comparison and also through analyzing the success of your multi-posting campaigns. As with most aspects of the recruiting process, it is critical to continually update your strategy. Based off of your analyses, you should be actively adjusting your multi-channel posting strategy so that it’s success rate continues to grow.